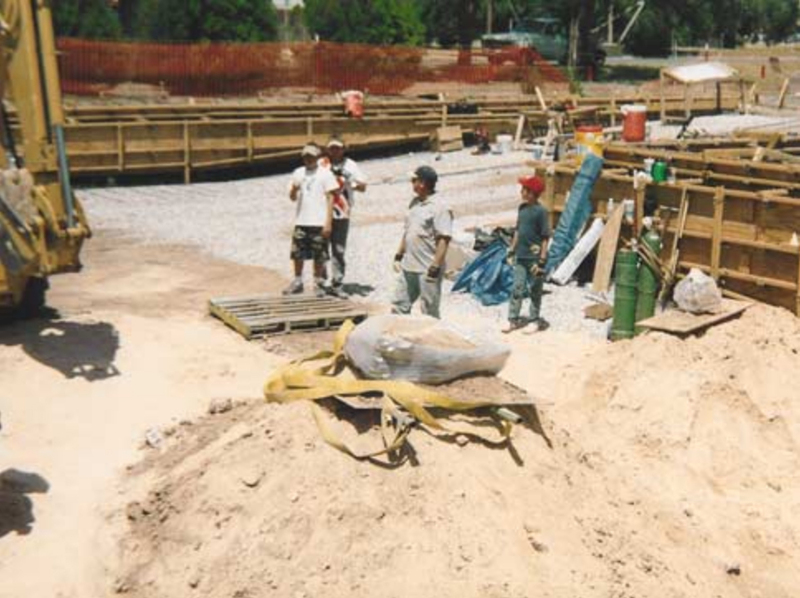 In the summer of 2002 Paddock Enterprises was building an aquatic facility on a construction management contract in Stinnett, TX. 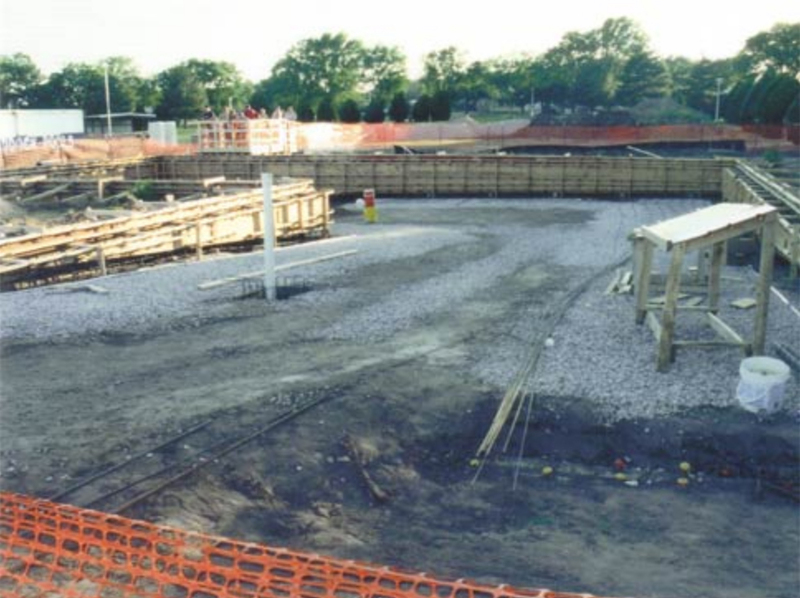 It was about 9:15 a.m. on July 24, 2002, when Paul Lane was operating a back-hoe to dig up the ground for the new Stinnett aquatic center. He had dug about 13 feet when he saw the bones of a 5,700 year old bison. Over 3,000 people are estimated to have visited the site during the following week to get a glimpse of the ancient bones and watch as an archaeological dig got underway. These people were watching history in the making. The following pictures are from the archaeological dig. In the process of digging out the new City of Stinnett pool, construction came across an unexpected find, bones. 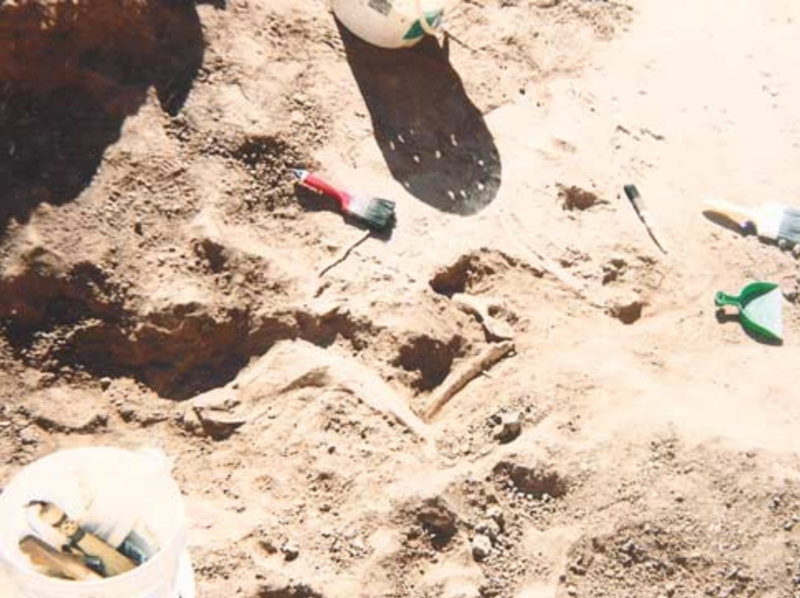 According to the National Park Service’s Chief of Resource Management, Jim Rancier, who is also an archeologist, the workers were about 13 feet deep when they uncovered the bones. “Because of the depth of the soil, we think it’s fairly old,” said Rancier. He said the bones, believed to be that of a “mature bison” are probably about 10,000 years old, though it could be older or maybe younger. Either way, the bison was definitely here before the first pool in Stinnett was ever thought of! Rancier said the bones are not unusually large, like they would be if the animal was from the Ice Age, but the spinal column is still in the same position as it was when the animal died. There was no evidence that the animal was butchered by humans, Rancier said. No stones were found nearby. “It probably died naturally,” he said “There was not much disturbance.” The Panhandle Plains Historical Museum has sent an expert to examine the bones as of yesterday afternoon. “Ed Benz is interested in it,” said Rancier with a laugh. Benz is the director of the Hutchinson County Museum. Rancier said that as of now, the bones are the property of the City of Stinnett. The city will be able to decide what is done with the bones. STINNETT – Soon there will be another bison in the Stinnett City Park. It will replace the one found last year in that park. It will be one year on Thursday since ancient bones from a bison were found there. Soon a fiberglass replica of a bison will find a home at that park.  No celebration or observance is planned in Stinnett for Thursday, as people who worked on the archaeological site are working to get the newly purchased fiberglass bison ready to be placed in the park. The location has not been determined. 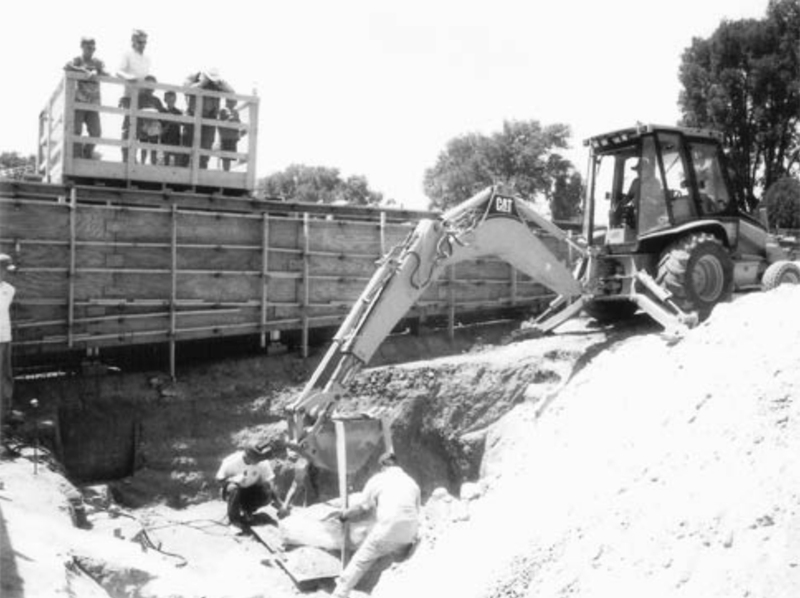 It was about 9:15 a.m. on July 24, 2882, when Paul Lane was operating a back-hoe to dig up the ground for a new aquatic center. 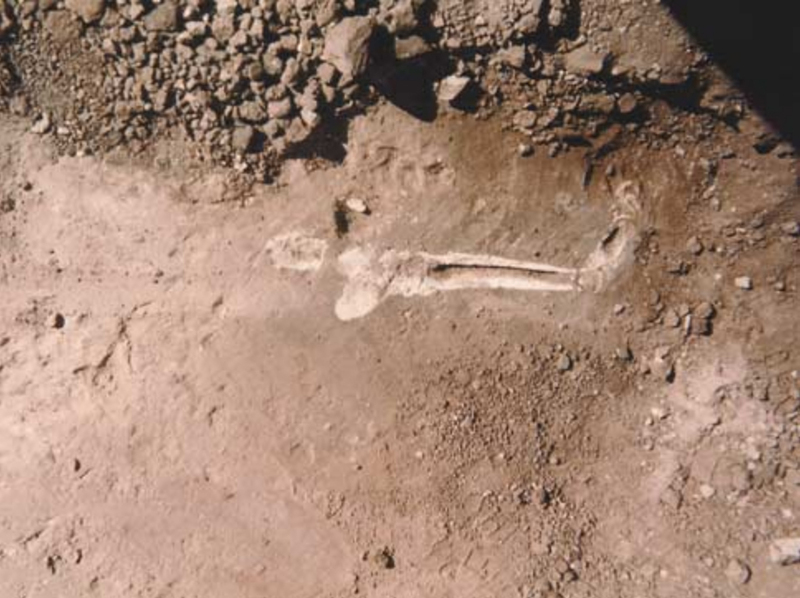 He had dug about 13 when he saw the animal bones he had unearthed from the hard clay soil. When Lane, the construction superintendent on the job notified Stinnett city officials of his discovery, the officials quickly took action. Deborah Summers, a Stinnett businesswoman and archeological steward, was called. An anthropologist, Summers notified officials at the Panhandle-Plains Historical Museum in Canyon and archaeologists with the National Park Service at Lake Meredith. 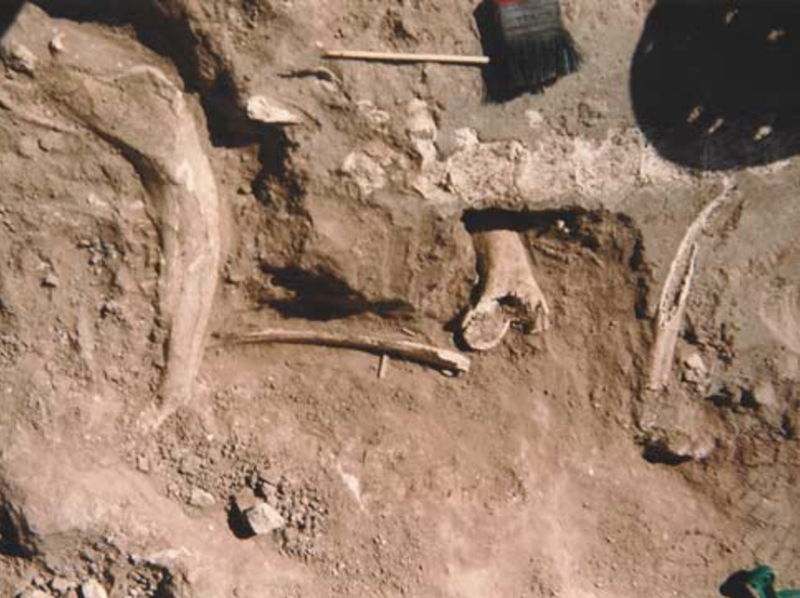 Later in the day, Dr. Jeff Indeck, curator of archeology at the Panhandle Plains Historical Museum in Canyon, described the initial bones found as anklebones from a bison. 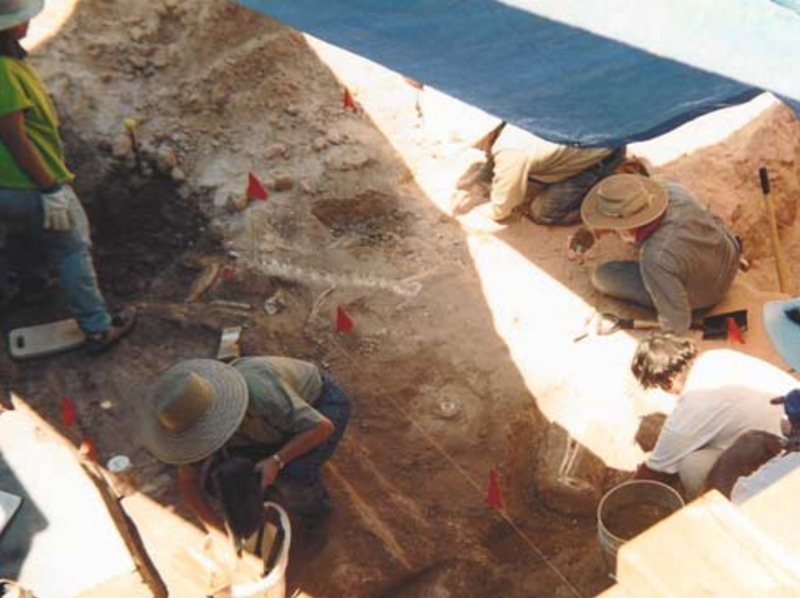 Summers was named by Texas Historical commission officials to head the excavation of the site. The few days were not only exciting for the archaeological workers, but also for Stinnett residents. Over 3,000 people are estimated to have visited the site during the following week to get a glimpse of the ancient bones and watch as archaeological dig continued. These people were watching history in the making. 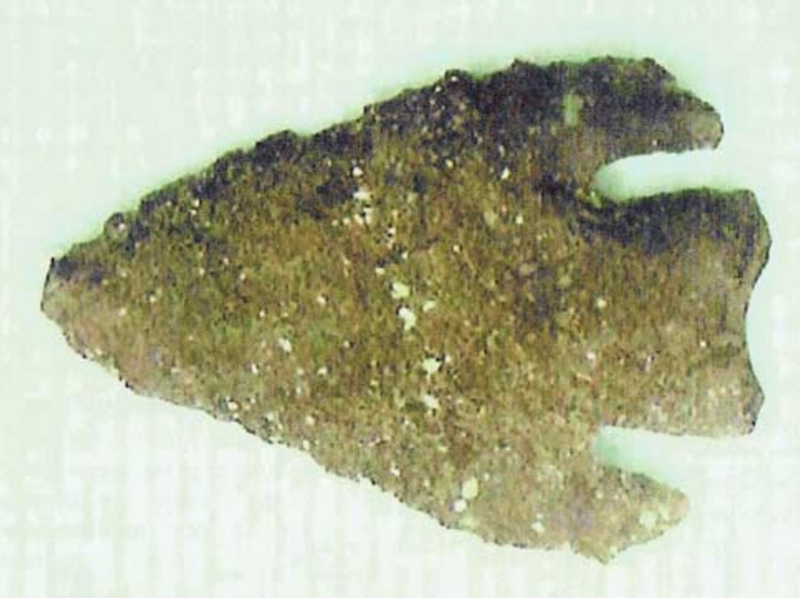 A Stinnett teen, Mark Karins, found a point commonly known as an arrowhead, while going through dirt from the excavation site. Not seen in the Texas area before, the point was unusual to the area archaeologists. 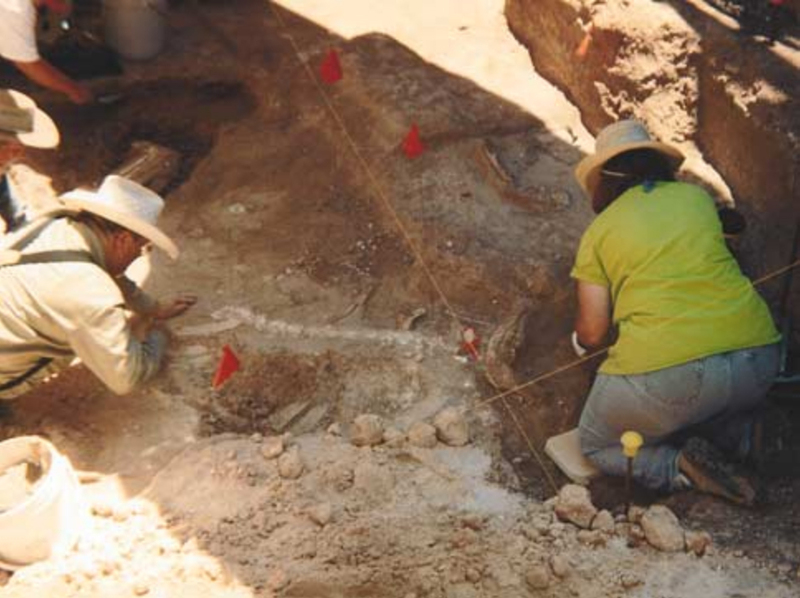 Dr. Paul Katz, and his wife, Dr. Susana Katz, of Panhandle were archaeologists on the site. Paul is investigating the possibility that the point belonged to the Calf Creek people who were known to have lived in Missouri and Oklahoma, but had not been linked to this area. It is a rarity that such an archaeological find would occur in the middle of a park in a small community where so many people would have access to it, said Summers. A viewing ramp was constructed which was even wheelchair accessible to allow people to be able to watch the archaeological excavation as it happened. 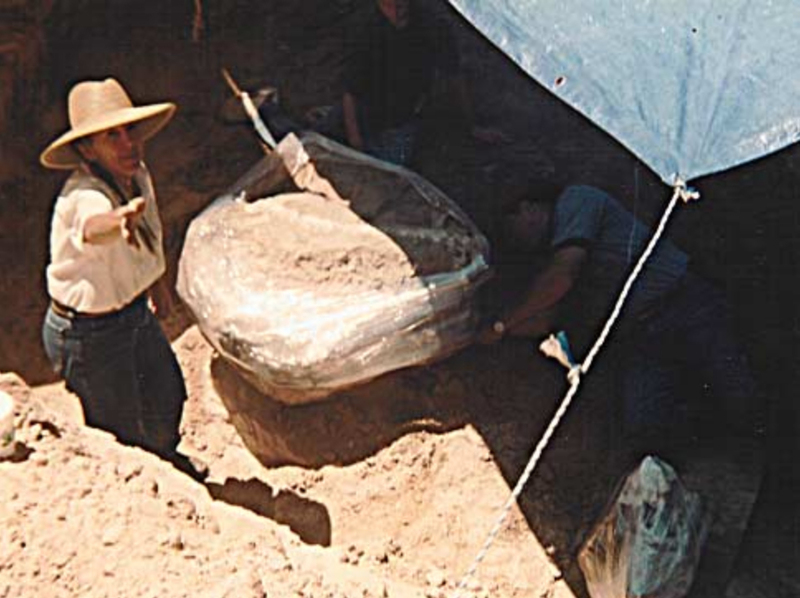 Indeck explained that this find was exceptional, as only two percent of the early day historical discoveries that are made are reported to authorities. Many of these artifacts are dug up and not reported to authorities, so they are not documented, he said. He explained that he knew many artifacts are in private collections. “This is why the discovery in Stinnett was so outstanding”, he said. He explained the find was on public property and was therefore reported to the Texas Historical Commission. 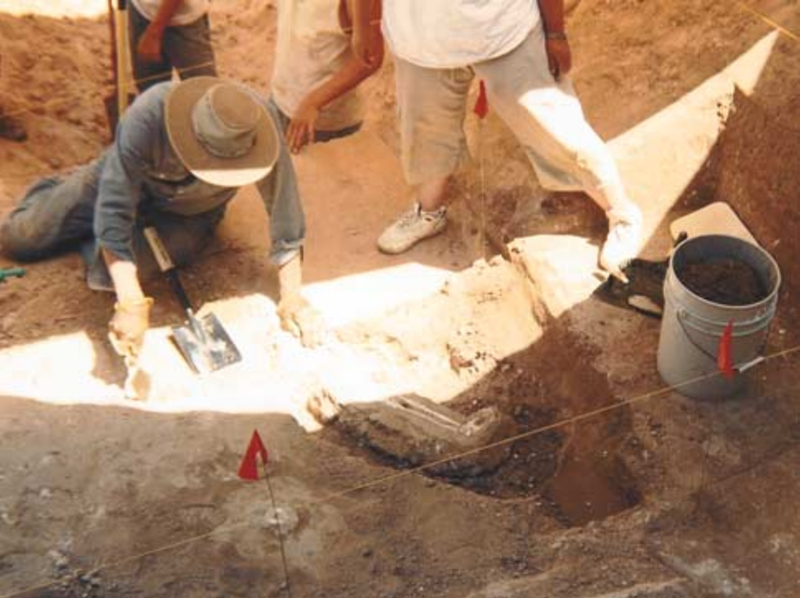 Also, previously, the estimated earliest discoveries had been near Miami and another at the Lubbock Lake project. He estimated the Stinnett bison to be between 2,000 and 8,800 years old. After the bison was carbon-dated in Florida by the experts, the death of the bison was estimated to have been 5,700 years ago. Emphasizing the significance of the bison bone’s age, Indeck said that the Alibates area goes back to 550 to 800 years. 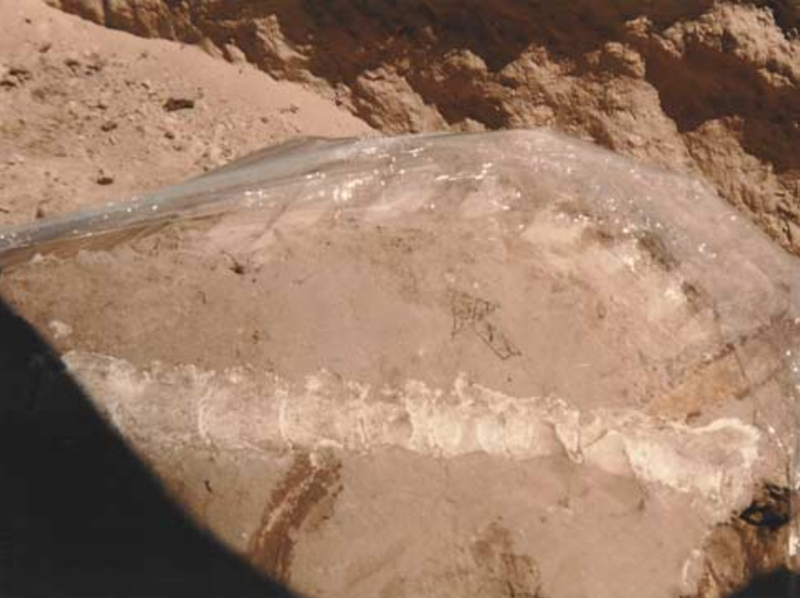 When the date was established in October 2002, Summers said, “This is a very significant find for that era because it was during the early archaic substage in the Texas High Plains and bordering regions”, she said. “It coincided essentially with the Altithormal Long Drought.” In his book, “Prehistoric Cultural Developments on the Texas High Plains” In 1989, the late Jack Hughes, a longtime Panhandle archaeologist, said it is extremely rare to find any evidence of life from that time period, as there was an extremely long drought. Also, the bison was estimated to have weighed approximately 5,888 to 4,080 pounds. No one knew what they would find, but they went forward. The bones are at the Panhandle-Plains Historical Museum in Canyon. Summers is still donating her time to excavate the remaining bones from the soil. An approximately 1,000 pound chunk of hardened soil containing the found bones was removed and taken to the museum. The owner of the bones is the City of Stinnett as they were found on city property. The future home of the bones has not been decided, said Summers. Casting the bones has been discussed, but Summers said there is no money to do it. Several local and area residents participated in the dig along with the archaeologists. They included Summers, Leslie Monden, Angela Green, Tommy Ferguson, Melissa Younger, Wes Phillips, Roy and Vanessa Monk: and this reporter. A few months ago, Stinnett City Council agreed to purchase the fiberglass bison out of the voluntary contribution fund from a Nebraska firm. Summers and her husband traveled to the northern state and transported the bison to its future home. “The bison was in the back of the pick-up, and everywhere we stopped, people would surround us and ask about it,” she said. “Each time I told the story about the 5,700 year old bison bones that were found, people were absolutely fascinated.” At one such stop, she said a woman told her, “Now I can die. I’ve seen a white buffalo”. The buffalo won’t stay white for long though. Leslie Monden volunteered to donate her time to paint it with brown auto paint along with some metallic gold to be used for highlighting and some black for shading. Well-known for her sign painting, Monden has drawn and painted many outdoor murals on the outside of several businesses in Stinnett. From cartoon characters on the outside of a now-closed day care center to western scenes on a local cafe in the 600 block of Main, she has added to the attractiveness of many Stinnett businesses. “I don’t think: it will take long to paint the bison,” she said. Even though it’s not a real one, everyone is anxious to get it in the park.